Keeping you in the know! Here at Augustus Marketing Inc, our company culture and work environment are a big part of what makes us successful. We like to recognize those in our office on their milestones and achievements! Recently, Matt was promoted to our leadership team! We had a chance to sit down and get to know a little more about him this week and here is what he had to say! Augustus Marketing Inc. – What is your hometown? AMI – What are your hobbies? AMI – What would your superhero name be? 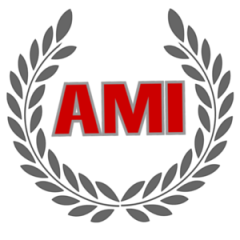 AMI – What is your favorite AMI memory so far? M – Getting enough food for my cat! AMI – Mountains or Beach? AMI – Coffee, Tea, or Energy Drink? AMI – Winter or Summer? AMI – Water Sports or Snow Sports? AMI – Who would you like to thank? M – Pat, Chris, Leah, Will, Mikiah, Jack, and Blanca!!! Augustus Marketing has been delivering results and has recently expanded to Ohio. Our goal is to provide both a superior customer experience and tremendous value for our customers.